How much time and cost can you remove from key processes? Capturing how the business works, through its processes, and gathering improvement suggestions is one thing, but you’ll need to build a business case for change. You can gather simple quantification data using attachments and reports or you can use Skore’s Quantify module to analyse and identify further savings. The Skore Quantify module allows you to quickly understand the impact of time and cost on your processes. 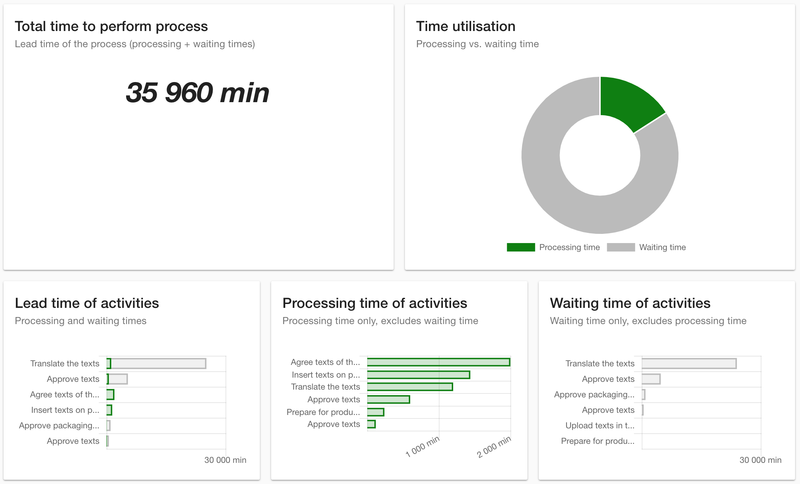 It shows you how delays impact the process and cost and time is distributed across activities and roles. You can redesign a process and then compare to see what the cost and time savings are.